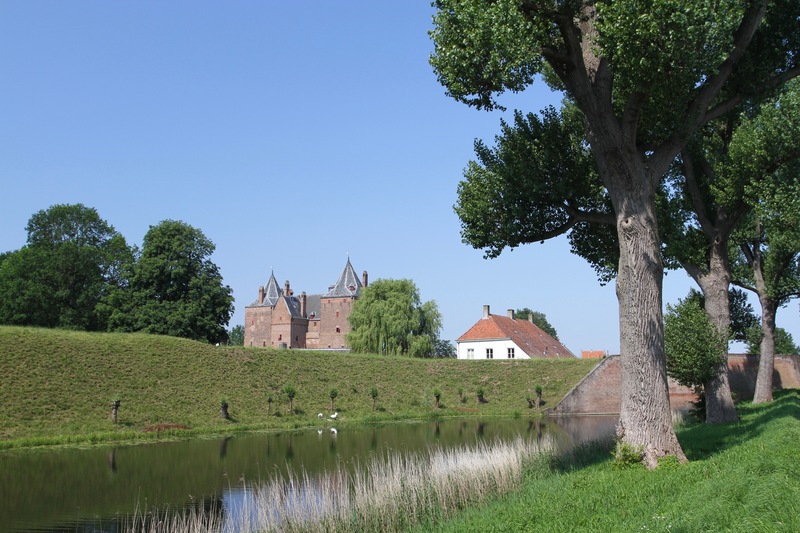 Sitting strategically at the confluence of the Waal and Maas (Meuse) Rivers, the moated medieval castle of Slot Loevestein is a beautiful sight glimpsed between the trees. 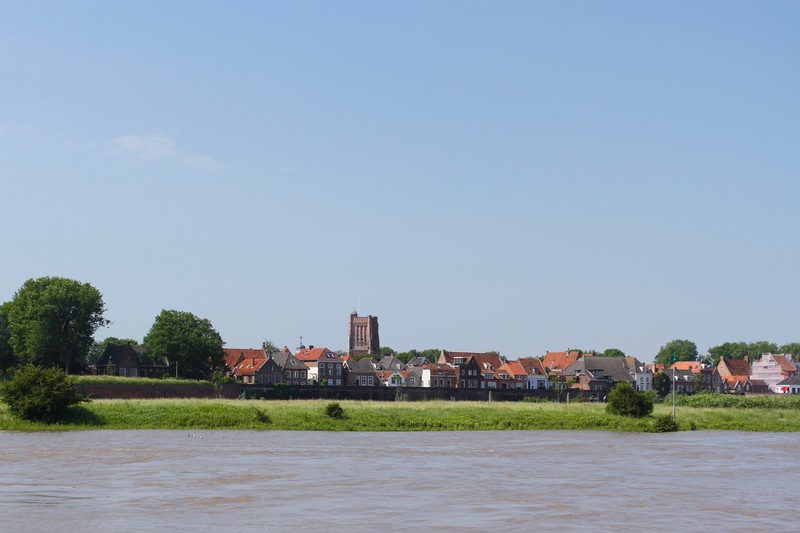 The first castle to stand here was built between 1357 and 1368; it has been added to over the centuries until the building that you see today emerged in the 16th century. 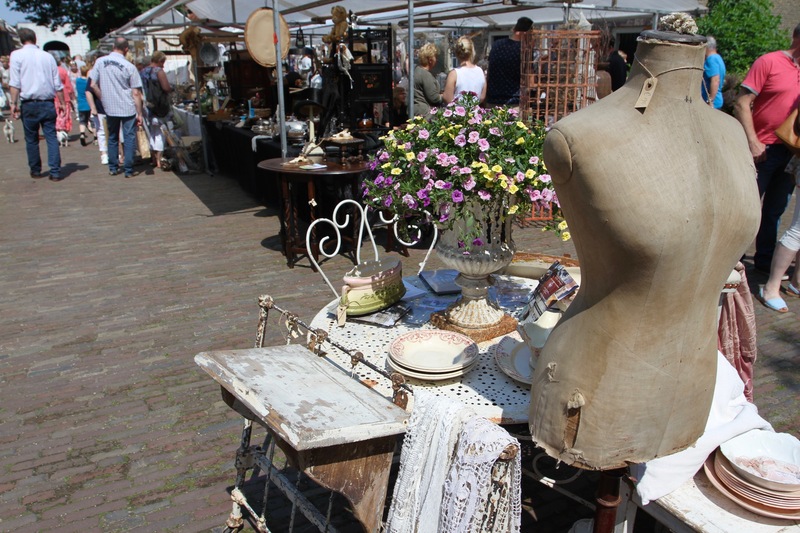 It evokes the era of chivalry like little else I’ve seen in the Netherlands. 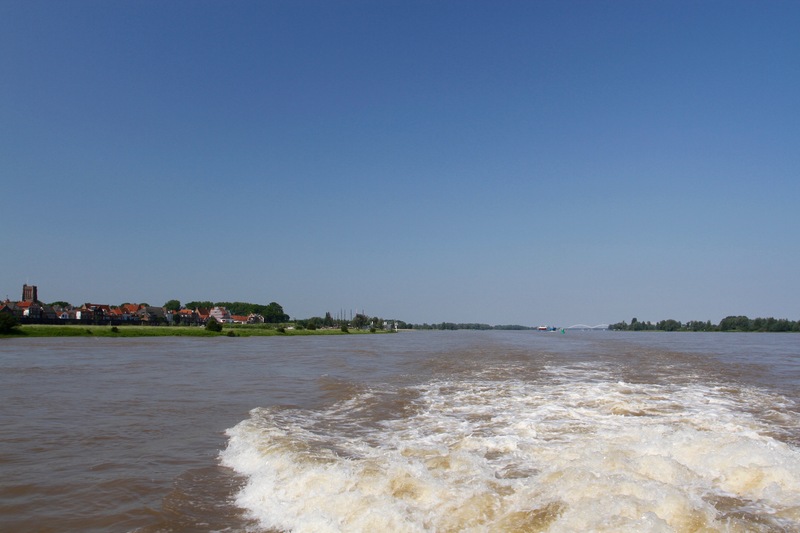 After a morning in the fortified town of Gorinchem, which sits downstream on the opposite bank of the Waal, I took a boat to reach Slot Loevestein. As we powered out into mid-river, a Dutch man started chatting to me. He told me that my fellow passengers were refugees from Syria, who’d braved the sea crossing to reach Greece before finding safety in the Netherlands. His wife was teaching them Dutch to help their integration. There were two families, with young children, and this was the first boat they’d been on since they’d risked their lives to escape the brutal war in Syria. They were enjoying themselves enormously, and I couldn’t help but think that for every piece of hateful anti-immigrant, anti-muslim propaganda, there were good people doing good deeds. It was an uplifting encounter. 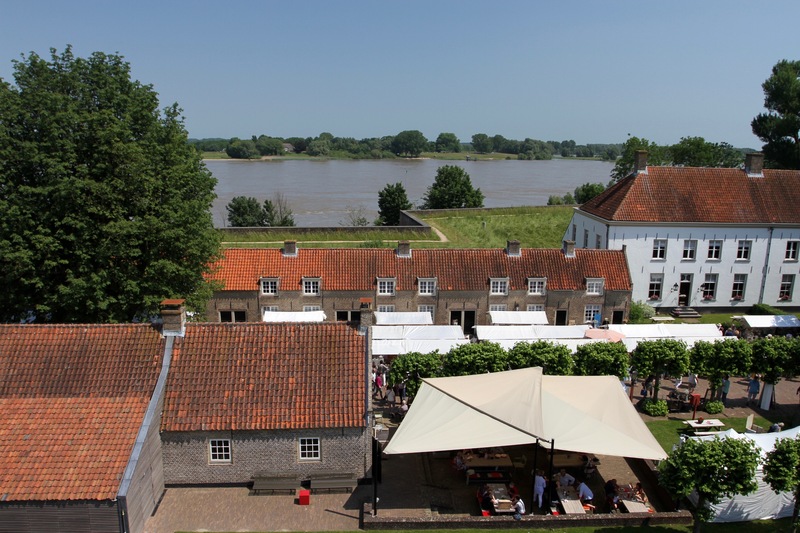 In the medieval period, whoever controlled Slot Loevestein controlled both the Mass and the Waal Rivers, as well as swathes of the countryside around this area. 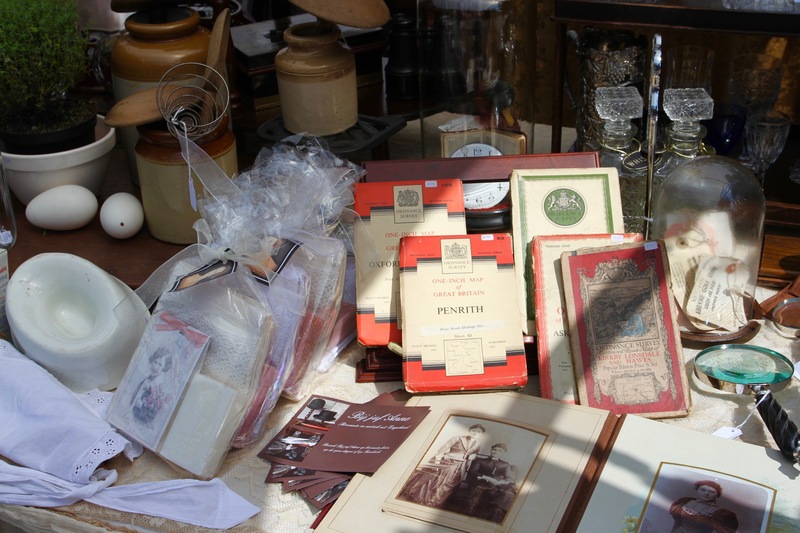 This allowed the castle’s owners to extract tolls from ships, a very lucrative business. Its early owner, for which it’s still named, was Dirc Loef van Horne, who was granted the castle and lands by Count Willem V of Holland. In the aristocratic politics of the medieval Europe, the castle saw sieges and battles, and changed hands several times as the fortunes of its owners fluctuated. 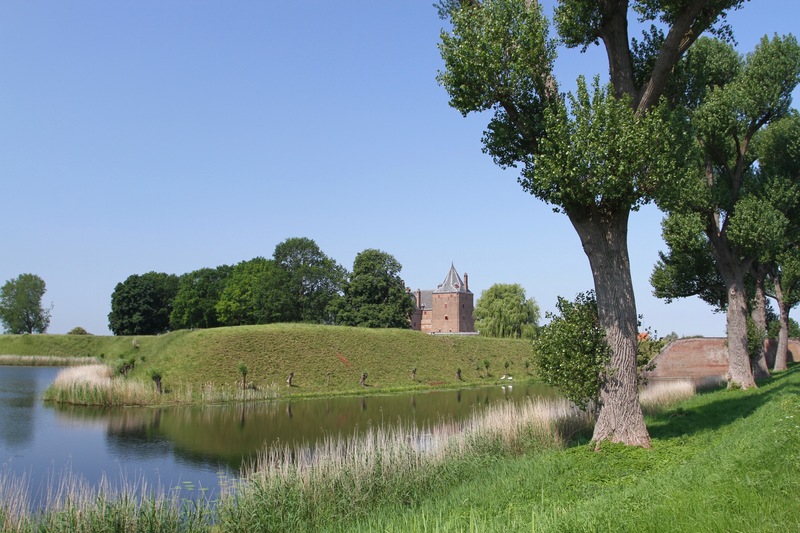 Things got even more exciting during The Dutch Rebellion in 16th century, when the castle and the nearby fortified towns of Gorinchem and Woudrichem were critical to wrestling control of the Lowlands from the Spanish. The Dutch Rebellion is also regarded as part of the larger religious wars that erupted across Europe following the Reformation. 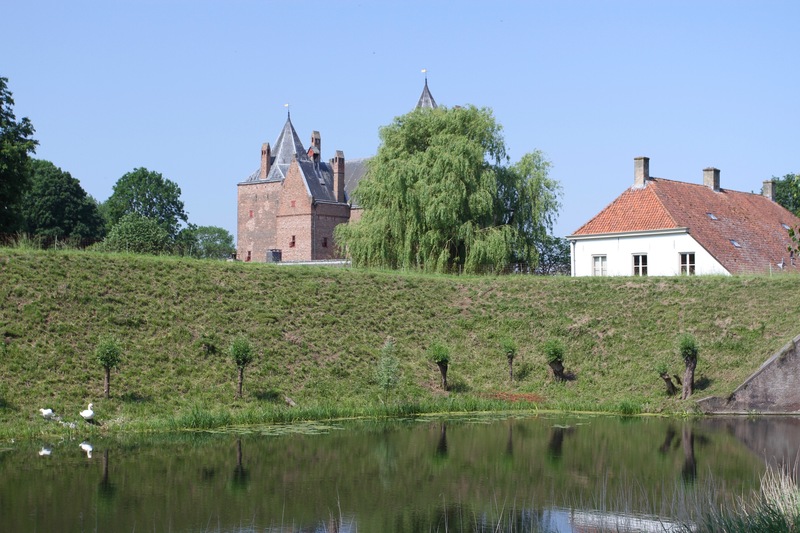 In 1570, the religious wars came to Slot Loevestein during an extraordinary incident involving eight Calvinists who gained access to the castle dressed as Catholic monks. Once inside they killed the defenders loyal to King Philip II of Spain and waited for reinforcements. Reinforcements never came and the Spanish retook the castle shortly afterwards. The fate of those Dutch rebels who survived the assault was grim. Many were broken on the rack before being beheaded, while the corpse of the Dutch leader, Herman de Ruijter, was burned and beheaded posthumously. 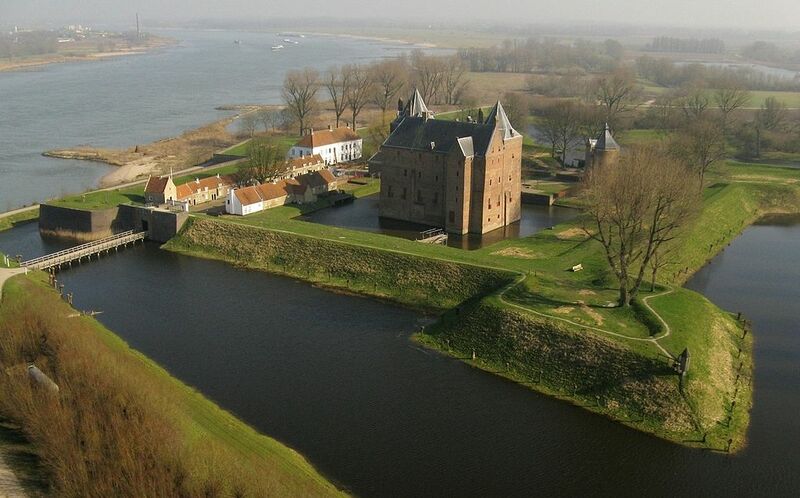 The castle fell to the Dutch once again in 1572 and would never be under Spanish control again. 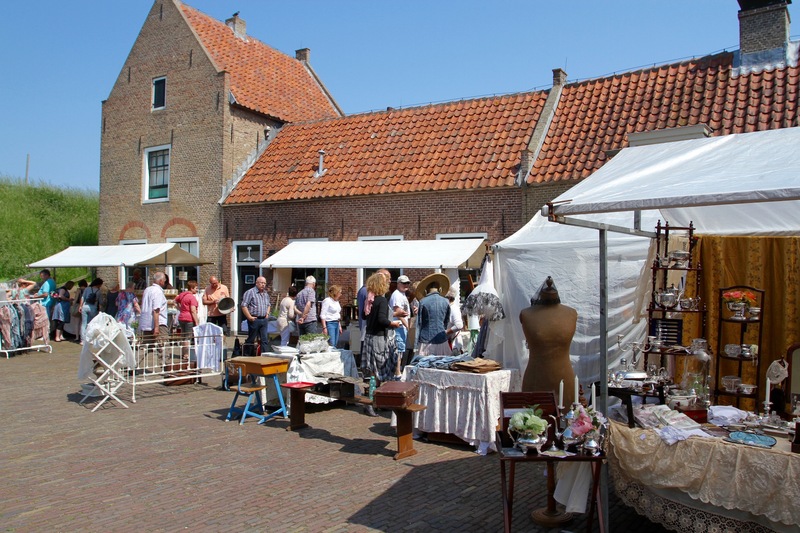 While Slot Loevestein remained an important military outpost with a garrison and a large gunpowder store, it also became a prison in the 17th century and was home to numerous ‘enemies of the state’, particularly religious dissidents. 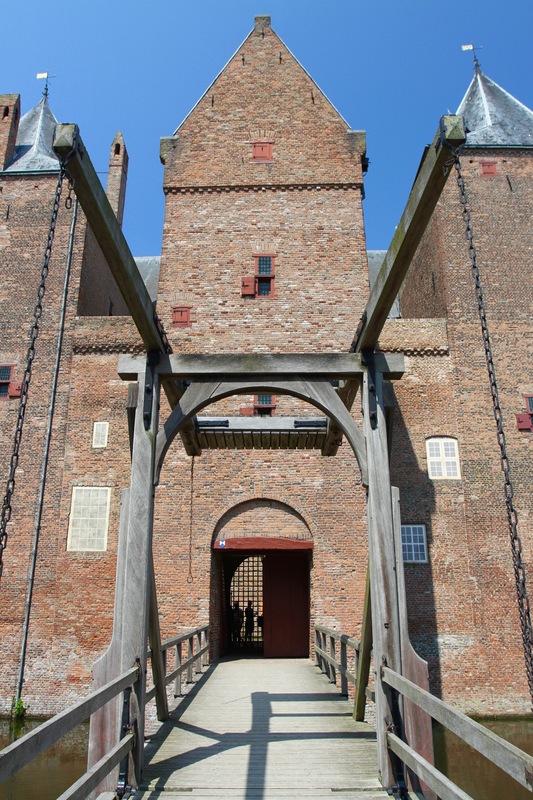 Most famously, it became the prison for Hugo de Groot and his family – famous because Groot escaped the prison by hiding in a book chest and being carried to freedom inside it. 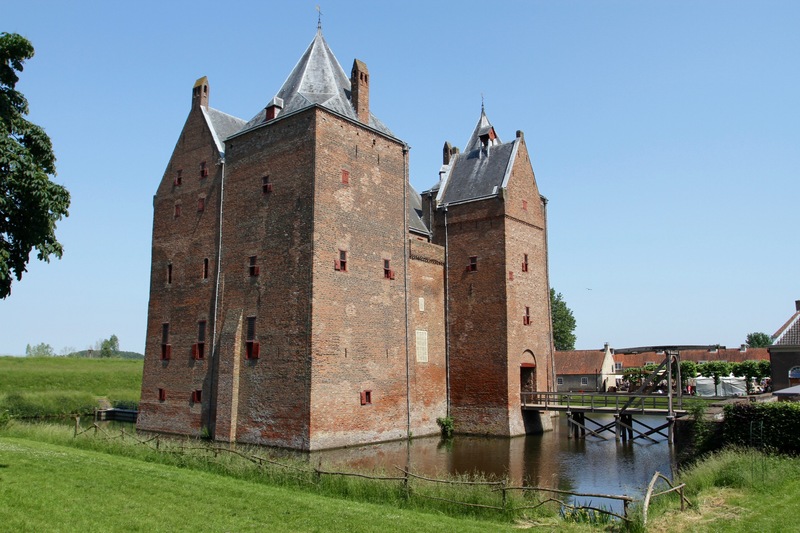 As military technology evolved, Slot Loevestein became obsolete for anything other than storage or as a prison, but it stayed in military hands until 1952. Today it’s in private hands and is a popular destination for tourists. 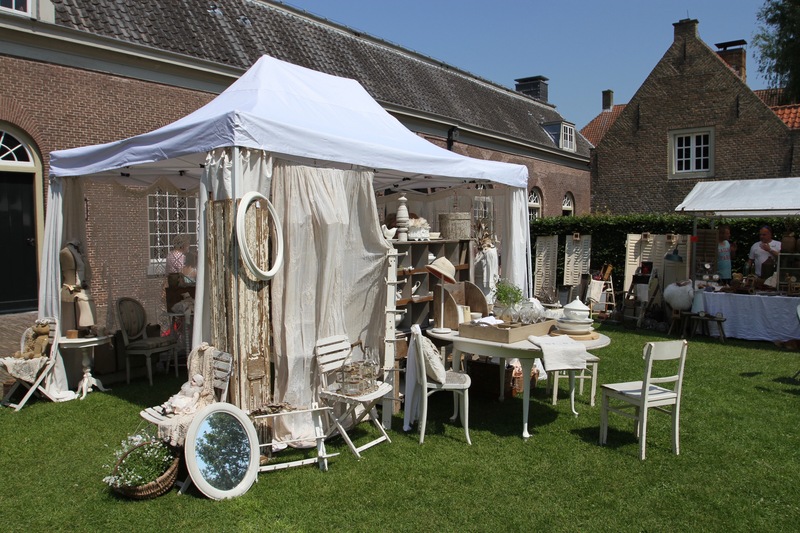 The day I arrived it was hosting an antiques fair which filled the grounds surrounding the castle. One of the stalls was selling old regional maps of Britain, including one of the place I went to school. The castle is part of the excellent Museumkaart scheme, which meant it was free and I was given the ‘Keys to the Kingdom’, an electronic key that gives access to the museum and triggers numerous digital information points around the castle. It’s a great idea, especially if you’re a child … which all adult males become when walking around a medieval castle.